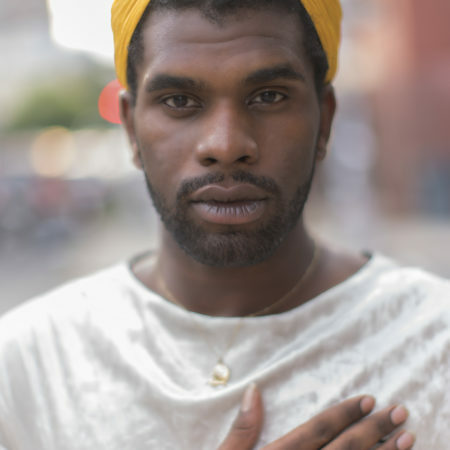 Artist-in-Residence J Hoard, the Brooklyn–based singer and songwriter who has won a Grammy Award for his work with Chance the Rapper, is showcasing the unique voice he is cultivating in underground clubs on the Lower East Side. His vibrant melodies, lyrical genius, and infectious beats have launched him to international prominence, landing him featured spots in music festivals in Canada and Mexico, and he has toured with artists ranging from Sonnymoon and Kimbra to Meshell Ndegeocello and Pharoahe Monch. In this concert, J Hoard shares the stage with Dan Edinberg and Moduloktopus. Edinberg was one of the founders of The Stepkids and recently music directed the acclaimed Mike Brown documentary Stranger Fruit. Moduloktopus regularly DJs all around the northeast, teaching sound design at Boston’s MMMMaven. All three of these genre-hopping artists are using electronic instruments to expand the possibilities of what sound can be.